Unfortunately, what is efficient to you might not occur to the folks who build the home you ultimately move into. 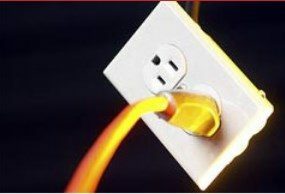 This means that you might wind up needing more outlets and receptacles than your home can accommodate. Should you find yourself needing more outlets and receptacles than your home currently provides, then just give your local San Antonio electrician a call at John Jones Electric! Our experienced staff can help to make your home just as functional and efficient as you could want it to be thanks to our receptacle and switch installations! We’re in the days of electronic everything. Gone are the days of analogue and the like. From our coffee makers in the morning to our computers and other devices throughout the day, we rely on electricity more than we ever have before. This means we rely on a way of charging and powering those devices more than ever now, and that way involves outlets. Of course, if your home is lacking in outlets, you might find yourself in a very inefficient and frustrating living situation indeed. If you want your modern home and life to be as efficient as can be, then don’t hesitate to call on John Jones Electric to provide you with all the receptacles and outlets you need to power all of your necessary electronics!